The area we now call Noble was unorganized territory inhabited primarily by native Americans, Pottawatomies and Miamis, with a few Ottawas, Hurons, Delawares and Shawnees (or Suwanees). As new territories opened for settlement, early pioneers came up the river to Fort Wayne, then north along Indian trails, or overland by wagon trains from Pennsylvania to Ohio and then to what was to eventually become Noble County. Some came from New York by way of the Great Lakes and then overland by horse, oxen and wagon trains. The area was generally settled by people of English and German extraction. The first recorded white settlers were Joel Bristol and family on April 4, 1827. 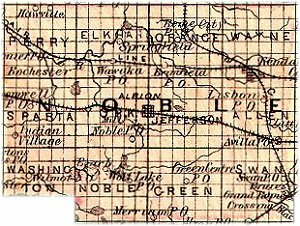 Two acts by the Indiana General Assembly were involved in the creation of Noble County. The first was the county's formation in 1835, followed 9 months later by its official organization effective March 1, 1836. Before it came into existence, its 432 square miles had been part of Knox County from 1790 to 1818; Randolph County 1819 to 1824; Allen County 1824 to 1829; from 1829 to 1831 the south 2/3 was in Allen, the north 1/3 in Elkhart; from 1831 to 1832 the east half was in Allen and the west half in Elkhart; from 1832 to 1836 the northern 2/3 was in LaGrange and the southern one-third in Allen County. Noble County is bordered by the counties of LaGrange, Kosciusko, DeKalb, Allen and Whitley. It is comprised of Albion, Allen, Elkhart, Green, Jefferson, Noble, Orange, Perry, Sparta, Swan, Washington, Wayne and York Townships. Its county seat is located at Albion. There are two cities, Kendallville and Ligonier; and towns are Albion, Avilla, LaOtto, Cromwell, Kimmell, Rome City, Wawaka, Wolf Lake, and the southern end of Wolcottville, with "whistle stops" or villages at Brimfield, Burr Oak, Cosperville, Ege, Green Center, Indian Village (formerly Alcinda), Lisbon, Merriam, Swan and Wilmot. The Indiana State Division of Vital Records has kept birth records since Oct. 1, 1907 and death records since 1900. Prior to that time, records were kept at the county level at the discretion of local officials. Many documents were destroyed when Noble's courthouse burned, leaving official marriage files prior to 1859 non-existent. A few birth and death records were kept in the local Board of Health Office starting in 1882. Marriage, divorce, probate, guardianship, wills and miscellaneous order books are housed in the clerk's office at the courthouse, 101 N. Orange St. #240, Albion IN 46701, telephone 260-636-2736. 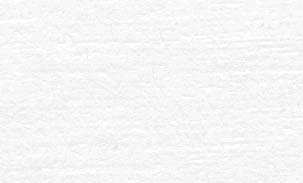 Photocopies of documents are $1.00 per page. Send payment and self-addressed stamped envelope with request. Indiana State Dept. of Health may be contacted at Indiana State Dept. of Health or by mail at 2 N. Meridian St., Indianapolis IN 46204, telephone 317-233-1325. In search of an old news item? Newspapers started publishing as early as the mid 1850's. There are three remaining, a daily, News-Sun, published at Kendallville, two weeklies, Albion New Era published at Albion and the Advance Leader for Ligonier. Microfilmed copies of Albion papers are on file at the Noble County Library in Albion, with scattered issues from 1850 to 1880, then fairly consecutive. Microfilmed scattered copies of Kendallville papers are at the Kendallville Library, starting in 1873. Ligonier Library's microfilm includes a few copies of Ligonier papers from 1858, 1872 and 1879, then fairly consecutive starting in the 1880's. Avilla Library maintains bound copies of some of the old issues of Avilla News. There are libraries located in Albion, Avilla, Cromwell, Kendallville, Ligonier and Rome City. The Historical Society located in Albion sponsors the Old Jail Museum which houses artifacts and some old records. Noble Notes: The haves and the have-nots can often be traced to the digs and the dig-nots.